Our good friend Russ at ProtoolsExpert posted a quick review of the new Brainworx bx_panEQ. One of 3 new plugins announced by Plugin Alliance. 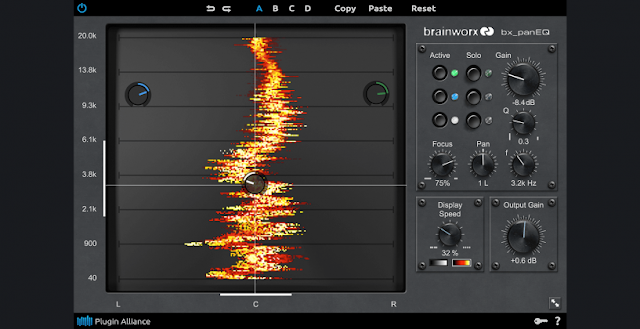 Brainworx, the pioneering company that created the first Mid/Side equalizer plugin, has once again launched a game changer: bx_panEQ. 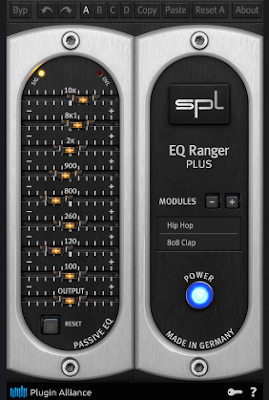 This revolutionary panoramic equalizer will forever change the way you sculpt stereo tracks. Imagine EQ'ing a crash cymbal buried in a pre-recorded stereo mix without affecting instruments panned to other positions in the soundstage. Impossible? Not with bx_panEQ! Its three fully parametric bell curve filters can each be panned anywhere in the mix's stereo field to adjust the timbre of embedded tracks with precision. No other plugin can do that! The power unleashed by bx_panEQ in mixing and mastering applications is profound. Stretch the width of a stereo acoustic guitar track by boosting progressively higher frequencies at pan positions from left to right. Reach into the stereo mix of a live concert to tame a boomy hard-panned guitar without affecting other slices of the stereo field. Mastering engineers can discretely equalize localized spectral imbalances to correct a lopsided mix. The applications are limitless. In addition to typical parameters like frequency, boost/cut and bandwidth, bx_panEQ allows you to dial in which portion of the stereo field you would like to equalize. Each of bx_panEQ’s 3 bands can have separate settings for all parameters - including what portion of the stereo field can be equalized - opening up entirely new worlds of sonic possibilities. A Focus control for each filter adjusts how wide its effect will be in the stereo panorama. The filters' API-style Proportional Q design pinpoints your EQ tweaks by raising the Q factor as gain is increased or decreased from 0 dB. A Panoramic Spectral Analyzer displays the amplitude of your EQ boosts and cuts across the stereo field and frequency spectrum in real time, intuitively guiding your hand while accurately showing the relationship between spectral response and stereo width. I plan on installing the demo later today. Will update the post with some feedback once I get a chance to use it on various tracks.